If you recall from my San Francisco days, I had several refuges tucked around the city (my favorite being this particular spot). They were great places to think, to bring a book, to sit with Elvis, to listen to podcasts (I may have listened to all of Serial in the aforementioned SF spot), to just be alone if I needed it, heck, to just be. Lately, I've been making my rounds around New York in search of my new go-to spots -- the places that'll never let me down if I just need an escape. Central Park, naturally, is riddled with them. 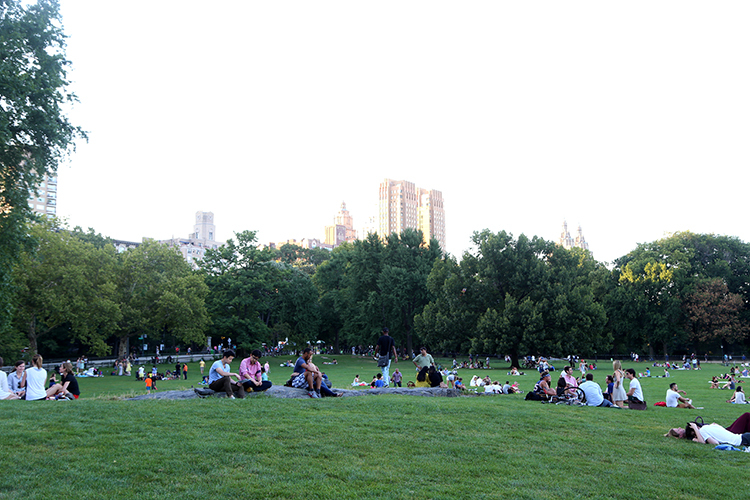 These past few weekends, I've been making a bit of a Sunday tradition out of late picnics in Sheep's Meadow, just in time to catch the golden rays of the sunset filter through the buildings and trees. 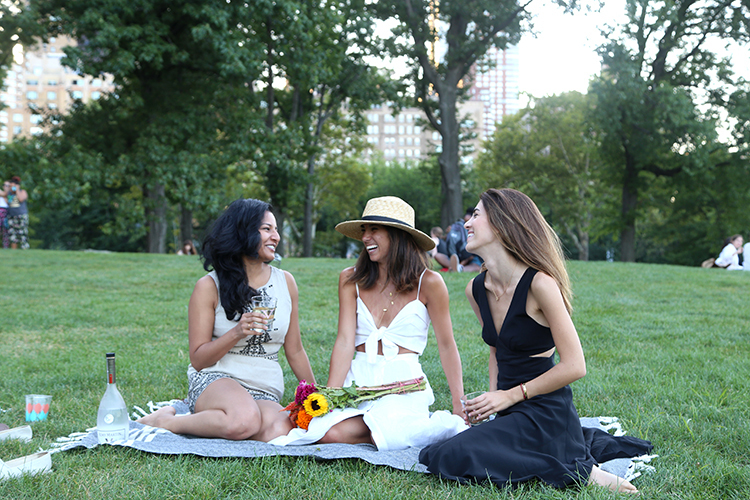 Armed with a few good girlfriends and a bottle of something chilled, it's been a great way to hit pause before the start of another busy week and get caught up on some of the weekend's festivities (or rather, dating escapades, I should say). 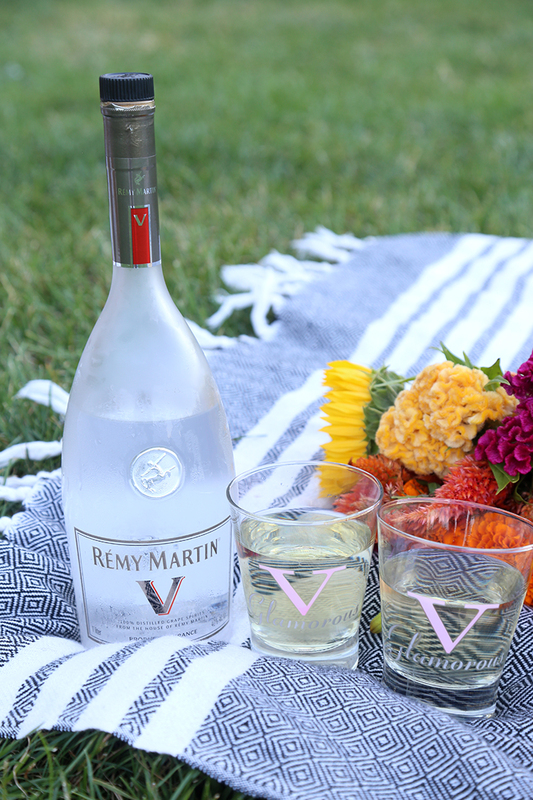 This past Sunday, we enjoyed a bottle of Remy Martin V, the 100% distilled grape spirit from Remy Martin, toasting the occasion with some of their specially designed glassware (who doesn't love a little extra glam for the park?). We went ahead and mixed a few signature Remy cocktails called the Vendetta (1 1/2 ounces of moscato wine and 1 1/2 ounces of Remy Martin V) with light snacks and heavy discussion around Sera's upcoming trip home to Turkey (which of course, got me thinking about this trip last year and craving another big one soon!). 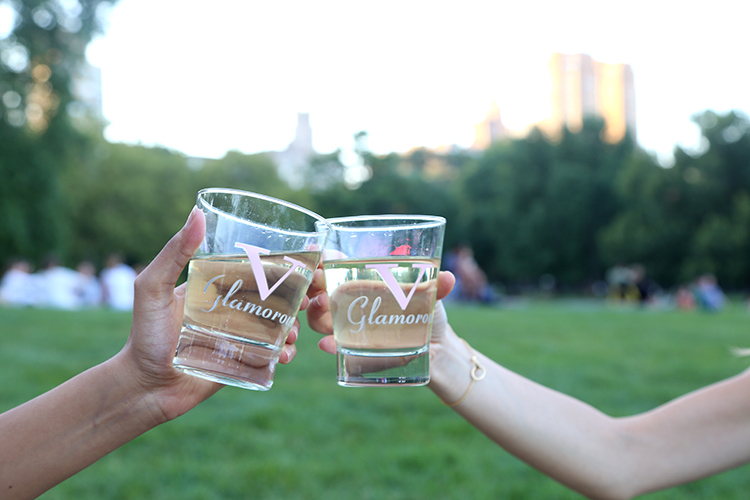 Where do you and your girlfriends go for down time and drinks? Anywhere special? And more importantly, what do you imbibe for the occasion? This post was in collaboration with Remy Martin. As always, all opinions and styling are my own. Thank you for supporting all This Time Tomorrow collaborations! Adorable! Friends are a treasure. 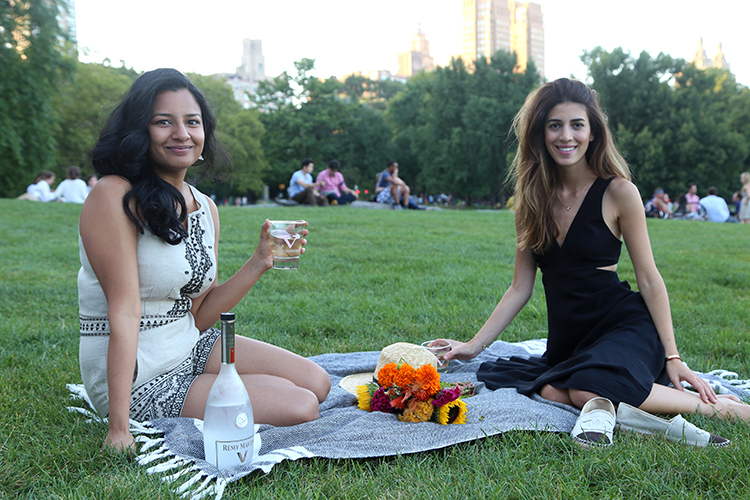 I wish we could drink in our parks. How fun! Your outfit is adorable! The photos you have included in the blog is very nice and I liked your writing style. It's making easy to understand the blog. You can refer best essay for more writing kind of support.